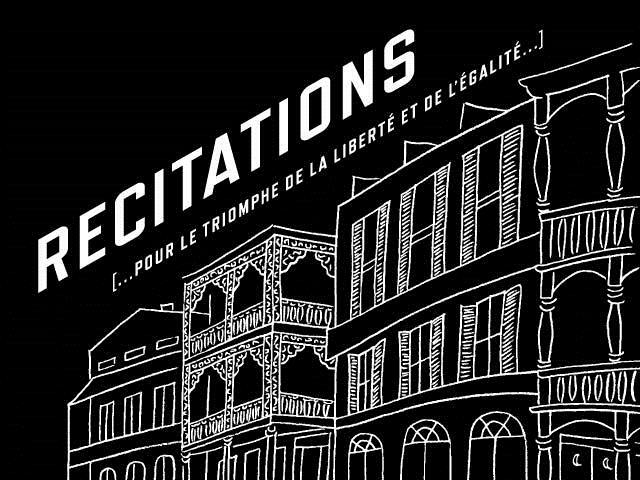 Recitations (…pour le triomphe de la liberté et de l'égalité…), a contemporary art installation by Zarouhie Abdalian, ran from January 1, 2018, through June 3, 2018. The work, which positioned ringing brass bells around the French Quarter, was the first program offered in conjunction with THNOC’s exhibition Art of the City: Postmodern to Post-Katrina, presented by The Helis Foundation. In Abdalian’s work, five bells rang together from rooftops on Toulouse, Royal, St. Louis, and Chartres streets, each making a unique statement. Though bells have featured prominently in the French Quarter’s soundscape for nearly three hundred years, the cadences in Recitations (…pour le triomphe de la liberté et de l'égalité…) differ in character from the tolls announced by the church, the school, or the factory, and thereby propose a reimagined relationship between the bells and those they hail. Abdalian is a New Orleans native and NOCCA alumna who has gone on to exhibit her work at the San Francisco Museum of Modern Art, the 2017 Whitney Biennal, and Prospect.3. Recitations (…pour le triomphe de la liberté et de l'égalité…) recurred daily at 3 p.m. from January 1, 2018, through June 3, 2018 and lasted seven minutes.